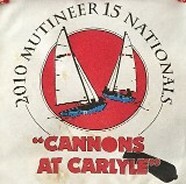 At the 1974 Mutineer National Championship held in Wamplers Lake, MI, Al Smith was elected Commodore of the MCA. Vern Umstead was elected Secretary. This is the first MCA board that we have evidence of and probably is the first. 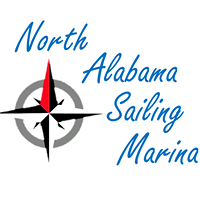 The CannonBall was selected as a temporary name for the class newsletter. Ideas for a permanant name were to be sent to Ernie French. The cost for a Fleet to join the MCA in 1978 - $2.00. A. The affairs of the Association shall be mandated by a National Committee of up to five Full Members of the Association. The Committee shall have power to co-opt additional members as required. The Committee shall have power to fill vacancies occurring among officers until the next General Meeting. B. Officers of the Committee are to be elected at a General Meeting of the Association and take office immediately upon election. 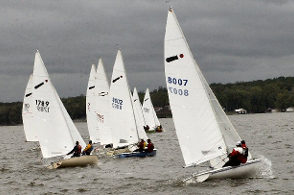 The term of office is two years except for Racing Captain, which is for one year. Commodore and Secretary are to be elected in odd-numbered years. Vice-Commodore and Treasurer to be elected in even-numbered years. The Vice-Commodore and Treasurer elected in 1980 will have their terms extended to 1983. Commodore to act as chairperson during the ensuing two years. Vice-Commodore and Publicity Director, who will substitute for the Commodore and be responsible for all Class publicity. Secretary, who will keep minutes etc. of all Committee and General Meetings, communicate the decisions of the Committee to membership and others, keep an accurate roster of Members, and perform other duties of Secretary as prescribed by the Committee. Treasurer, who shall have charge of any funds which may be existent, make disbursements of such funds as required hy the Committee, and present an annual financial statement. Racing Captain, who will organize Class Races and Activities. At meetings of the Committee, three shall form a quorum. D. The Committee shall have the power to make recommendations to the Members in General Meetings for alterations of, or additions to, the Rules of the Class or the interpretations of such rules. The MCA expired. May have been related to Chrysler divesting its Marine Group. Bob Olson, North Platte, Nebraska attempted to reconstitute the Class. Jack Mayer, Windermere, Florida attempted to reconstitute the Class. Kevin Kirkpatrick, York, Pennsylvania attempted to reconstitute the Class. Al Whitener, Chesapeake, Virginia attempted to reconstitute the Class. 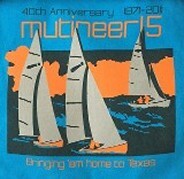 The Yahoo Group for Mutineer owners was initiated in April 1999. 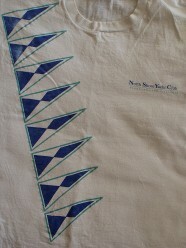 As of July 2011 it has 1167 members in constant communication. Gib Charles’ first post was in July of 2000. He asked about tuning specs: mast rake and rig tensions. Gib went on to suggest a National Championship each year. 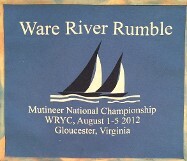 Both subjects were seeds for future events, the Tuning Guide and MNC’s. 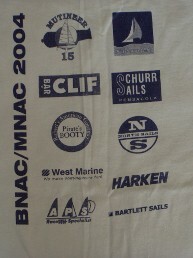 Bob DeRoeck’s first post was in September 2000, asking technical questions about rigging and line choices. Rey Garza’s first post was asking advice about his first (of many!) 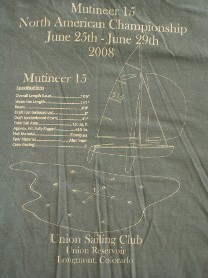 Mutineers in June 2001. 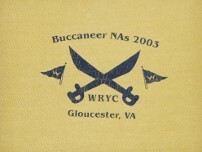 The Buccaneer Class Association invited any Mutineers to join them in Highland Park, Illinois during their Buccaneer North American Championship. 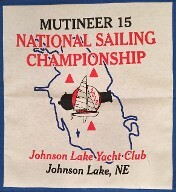 With the same race committee and race course on Lake Michigan but separate starts, the first Mutineer National Championship in 20 years was held. 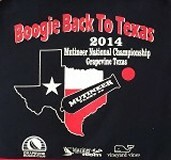 Five Mutineers took part including Rey Garza and Gib Charles, who met in person for the first time. 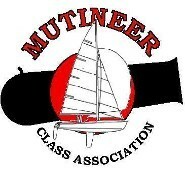 Gib Charles and Rey Garza began discussing the potential for reviving the Mutineer Class Association. Click here to read the original announcement letter by Rey Garza. The Executive Committee shall consist of a Commodore, Vice Commodore, Secretary, Treasurer, Publicity Chairman, and Racing Chairman. The Commodore, Vice Commodore, Secretary, Treasurer, and Publicity Chairman, of the Committee are to be elected at a General Meeting of the Association to serve a two (2) year term, taking office upon election. The Commodore and Vice Commodore will be elected in the same year. On alternate years the Secretary, Treasurer, and Publicity Chairman will be elected. The Racing Chairman will be appointed by the Committee.